Jean-Marc FESSARD comes from the great tradition of the French clarinet school ; he studied at the « Conservatoire National Supérieur de Paris » and the Paris University. He won the Concours d’Interprétation Jacques Lancelot (1st prize), the Paris International Competition (3rd prize, 1996), Illzach (1st prize 1997) and Gdańsk (1st prize and Special prize of the Hamburg Brahms Society 1997). He leads an international career both in chamber music and as a soloist accompanied by prestigious ensembles. Jean-Marc is involved in creating contemporary music and is a member of the Ensemble Sillages. He is a frequent contributor to Polish radio and television, the BBC and Radio France. 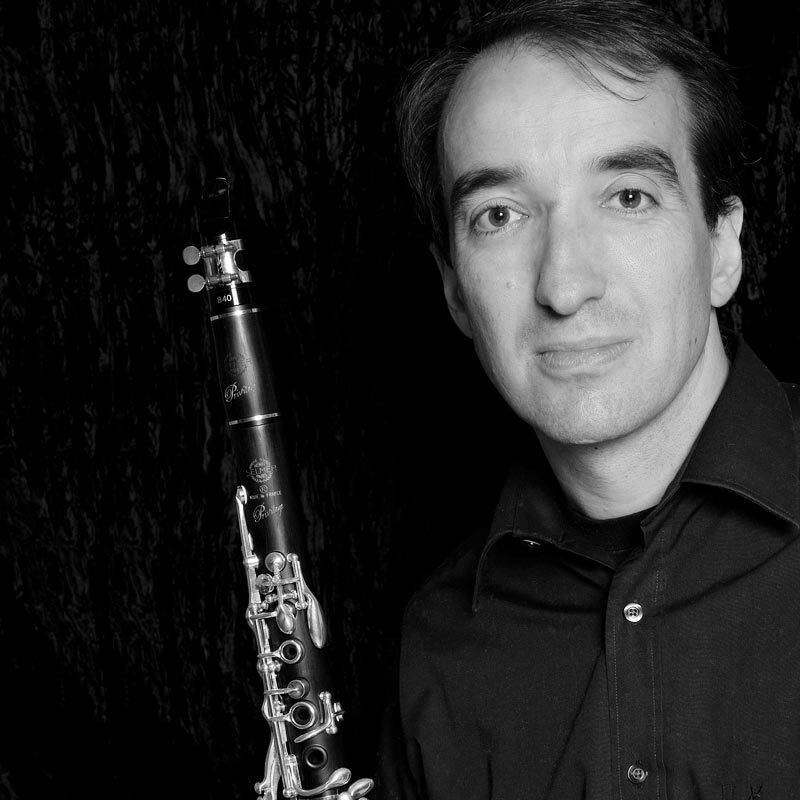 Jean-Marc Fessard is the author of “The Evolution of the Clarinet” (Billaudot Paris), a work on the history of the clarinet, a new clarinet method (Ecoute ! Je Joue…Billaudot Paris) and is director of publications for Billaudot-Paris. Jean-Marc Fessard plays Selmer clarinets and D’Addario reeds.